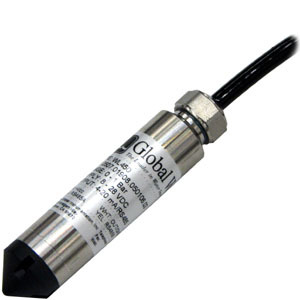 The Global Water WL450 All Stainless Steel Water Level Transmitters offer standard features and a level of performance that exceeds those of comparably priced transmitters. Plus, the All Stainless Steel Water Level Transmitters are able to provide 316L stainless steel diaphragm and digital temperature compensation and environmentally neutral Hytrel cable make it able to provide this level of performance day after day, over a wide range of operating conditions. This makes the WL450 All Stainless Steel Water Level Transmitters ideally suited to environmental monitoring applications such as test wells, surface water, streams and reservoirs. For easy ordering, all our standard WL450 All Stainless Steel Water Level Transmitters are set up for 2-wire, 4-20mA output, are calibrated for specific ranges in feet of head and include an appropriate length of Hytrel vented cable. In addition to the standard ranges and cable lengths shown, we can custom range your All Stainless Steel Water Level Transmitters for a small additional fee. The WL450 All Stainless Steel Water Level Transmitter includes a RS-485 direct to digital output for a modem or other communications network. This avoids the error and complication involved with analog to digital conversion devices.